How the recent developments and events of the coming months in the local and global environment will impact you and tax. There have been significant events in the local and international space in the past few days. Most notable locally is the new exchange rate policy of the Central Bank of Nigeria (CBN) and internationally, the referendum by Great Britain to leave the European Union (EU). Both key developments have impact on Nigeria, albeit to varying extent. I have attempted to highlight some of these impacts in this article. 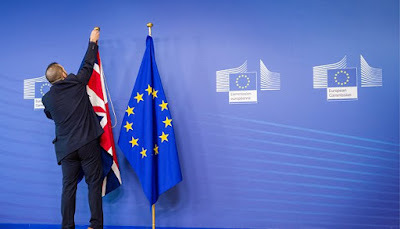 On Thursday 23 June 2016, citizens of the United Kingdom (UK) voted in a referendum either to leave or remain in the European Union (EU). In a most shocking outcome, over 17 million, precisely 17,410,742 or 52% out of the total 33,551,983 voters voted to leave the EU compared to 16,141,241 or 48% that voted to remain. Since the outcome of the referendum, the very first exit by any country since the EU was established has got the whole world wondering what would happen next and the implications not only to the UK and the EU but also the rest of the world. The Brexit vote has not only shocked the EU and the rest of the world, it also left many citizens and residents of the United Kingdom themselves “fantastically stunned”. It is not surprising that millions of British people have now signed a petition requesting for another referendum. Whatever happens next, one thing is certain - that Great Britain and the EU will no longer remain the same. The impact will be far reaching. Over USD 2 trillion has been wiped off global capital markets across all continents. This also means that less value for pension and retirement plans with investments in those markets. Other issues range from reconfiguration of the single market, renegotiation of trade agreements, immigration and labour law, functions and so on. As a result of the uncertainty created by the exit vote, the market has perhaps over-reacted as the British Pound depreciated by about 10% within 24 hours, the worst in over 30 years. In the medium to long term, the exchange rate to other major currencies will probably recover but likely to be lower than pre-referendum levels for some time. For Nigeria, there will be minimal impact. Nigerians studying in the UK will need relatively less Naira to pay their fees. Those travelling to the UK for business and vacation will also find it slightly more affordable. In terms of importation from the UK, this will become cheaper for Nigerians while exports to the UK will become more expensive and therefore less attractive. British businesses in Nigeria will be relatively more valuable to their UK group both in terms of their returns on investment and consolidation value in Sterling. The monies stolen from Nigeria and stashed away in the UK by some politicians will be of less value than if the funds had been recovered pre-referendum. We may have to renegotiate the double tax treaty between Nigeria and the UK if Brexit triggers a leave vote by any of its territories such as Scotland. Businesses do not like uncertainties and this is the main reason for the currency devaluation while various rating agencies have either downgraded or are considering downgrading Britain and even though nothing has really changed after the election. The actual exit could still take about 2 years. Where possible, governments must address all controllable uncertainties as much as possible from macro-economic policies, fiscal direction and so on. In the Economic Community of West African States (ECOWAS), which was established in 1975, Mauritania pulled out of the Union in December 2000 without any fanfare and no noticeable impact. This is largely due to the fact that ECOWAS has not really fully integrated and taken off. The Common External Tariff within ECOWAS was only agreed in 2015, forty years after the Union was formed. Also, the size of the UK economy and its influence on the global stage makes it completely different and unprecedented. And what about the new foreign exchange policy? The Central Bank of Nigeria recently announced a change in foreign exchange policy from the fixed official rate to a floating exchange rate which is largely market driven. Based on the 2016 Budget, a benchmark exchange rate of N197 to the USD was used in estimating government revenue. With the exchange rate now around N281, government will get about 40% more from its dollar revenue. This will help cushion the impact of decline in oil revenue as a result of the crisis in the Niger Delta and hopefully also help reduce the planned deficit funding of N2.2 trillion in the Budget. State governments will also get more revenue to share in Naira terms from federal allocation to improve the dire financial position of the states especially given that 27 of the 36 states are reported to be defaulting on salary payments as at the end of May 2016. In a similar fashion, import duties and VAT on importation should significantly improve partly due to the higher exchange rate being used to calculate payments and also because of the improved liquidity in the foreign exchange market which should result in more importation. Also, it is expected that there will be more inflows of foreign direct investments, foreign portfolio investments and diaspora remittances which will improve economic activities and consequently the country’s tax base and tax take. Investors and businesses do not like uncertainties. Unfortunately there will always be uncertainties in any economy but savvy investors learn to manage rather than avoid uncertainties. However, uncertainties that are self-inflicted should be avoided as they not only discourage some investors, they also necessitate a risk premium for investments to be viable. As a country we can do very little or nothing to control the price of crude oil, we had no control over Brexit vote, and we will not be able to control whether Donald Trump wins American’s election but we can, for instance, control the uncertainties created by our failure to pass the Petroleum Industry Bill, inability to fully deregulate the downstream sector, the uncertainties around fiscal and industrial policies. Government must strive to reduce uncertainties to attract both domestic and foreign investments. Businesses that wish to play in this market need to plan for the long run but also must be sufficiently agile to respond quickly and efficiently to unplanned changes which they will inevitably encounter. Either way, Africa and Nigeria in particular continues to be an attractive market for discerning investors who will gain an advantage for moving in earlier than those who wait until they get more certainty, which may be a very long wait. Taiwo Oyedele is the Head of Tax and Corporate Advisory Services at PwC Nigeria (the world’s leading professional services firm with presence in over 150 countries). 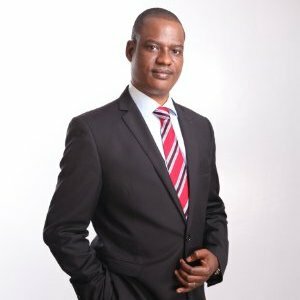 Taiwo has been in the forefront as a thought leader and prominent speaker on key accounting and tax issues including the tax implications of IFRS Adoption and Transfer Pricing. He is an ardent advocate of tax reforms with particular emphasis on tax simplification and transparency. He recently represented the Manufacturers Association of Nigeria at the National Economic Council (body of all 36 Governors and the Vice President) to successfully make a case for reforms to address multiplicity of taxes. ED'S Note- This article was originally published by the author here. Ronke Omorodion - Are you waiving your rights?